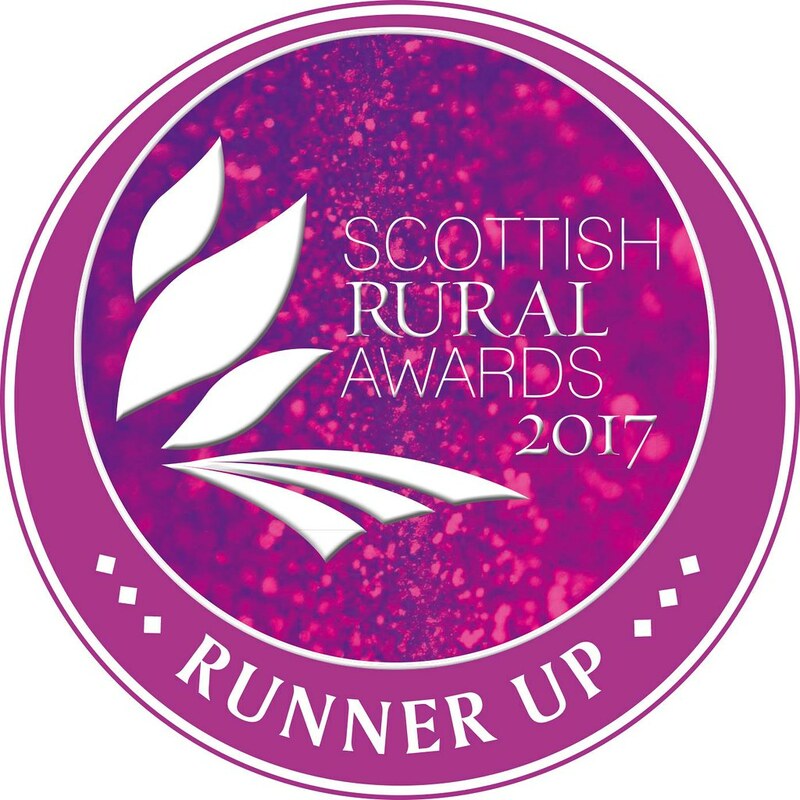 "Scottish Rural Awards 2017 - Runner-Up (Artisan Food Category)"
Wee Isle Dairy is a family-run business based at Tarbert Farm, a small dairy farm near the north of the island. Here Emma Rennie Dennis and brother Mark Rennie milk around 60 cows to produce the wonderfully rich whole milk used in the artisan ice cream. There's a range of six delicious flavours to enjoy: Chocolate, Raspberry, Strawberry, Vanilla, Mocha and Bramble & Whisky. 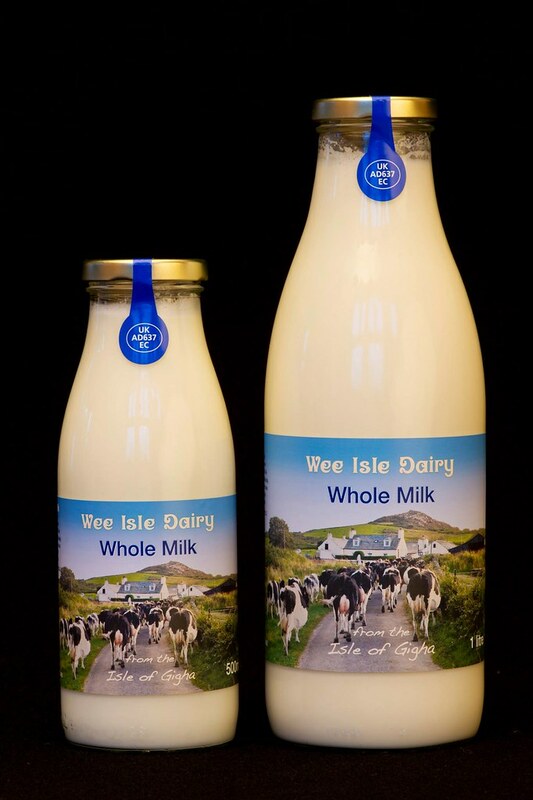 Pasteurised whole milk is also produced in two glass bottle sizes. Both milk and ice cream can be purchased at Ardminish Stores on the island. 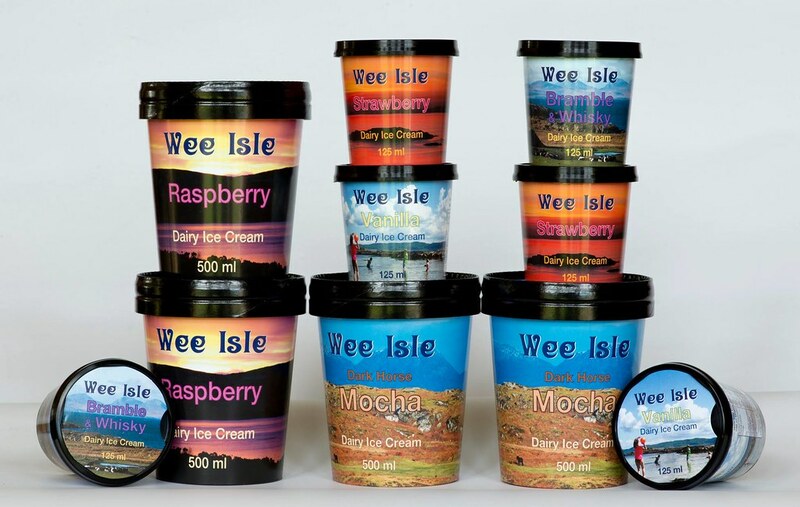 If you would like more information about Wee Isle Dairy products you can contact them on Tel 01583 505400 or visit their Facebook page.